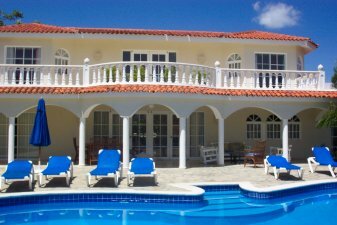 Each villa is unique in design and decor; yet all offer the highest standards of amenities such as private pool, superb location, multiple suites with private baths, and each Villa comes complete with dedicated personal maid service pamper you. 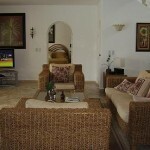 The Crown Villas offer a matchless vacation experience for the most discriminating traveler. 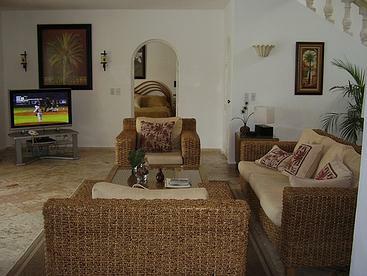 All villas have air conditioning, cable television, phones, and ceiling fans, while the decor has a distinctive Caribbean flair, featuring rattan, natural wicker and exotic bamboo. 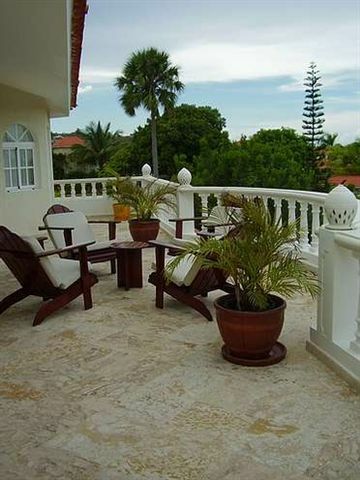 Shaded patios and verandas provide a relaxing place to gather. NOTE: All Prices are per person and include Accommodations, Party Passes, and All-Inclusive. All-Inclusive means, that all of your food, drinks, and alcohol on the resort are included. The All-Inclusive cost will be paid to resort at check in along with the resort fee of $10 per person per day. 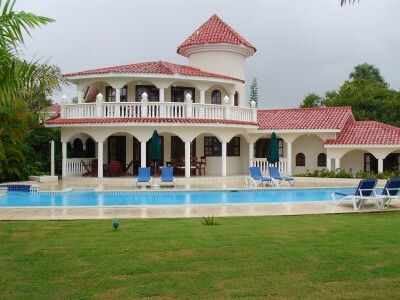 There are a limited number of villas but most villas are 3 Bedroom Villas with 3.5 baths. All villas come with a fully stocked kitchen and living area. Each bedroom typically comes with 1 large King sized bed. 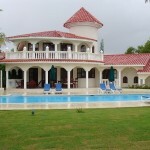 The resort will bring in additional beds to the villa if required. 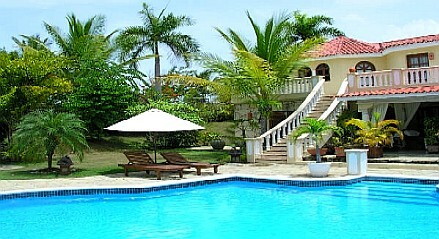 The villas have a wrap-around veranda for outside dining that steps down to your private pool. The landscaping around reach villa makes your backyard essentially private. The amenities include restocking your refrigerator daily with beer bottled water and juice along with an afternoon snack of cheese, meats and fruit. 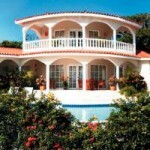 Your villa will also come with your own personal golf cart for on resort transportation. The resort also has a door to door shuttle service. 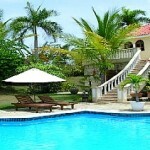 The luxurious villa stay is a great way to enjoy the Memorial Day Getaway. The 4 Bedroom Villas come with 4.5 baths. All villas come with a fully stocked kitchen and living area. Each bedroom typically comes with 1 large King sized bed. The resort will bring in additional beds to the villa if required. 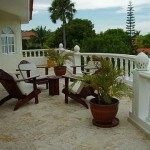 The villas have a wrap-around veranda for outside dining that steps down to your private pool. The landscaping around reach villa makes your backyard essentially private. 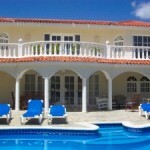 Contact NextLevel Vacations (513-573-9012) for the cost of the larger villas. The 5 Bedroom Villas come with 5.5 baths. All villas come with a fully stocked kitchen and living area. Each bedroom typically comes with 1 large King sized bed. The resort will bring in additional beds to the villa if required. 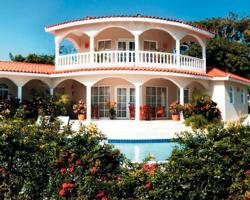 The villas have a wrap-around veranda for outside dining that steps down to your private pool. The landscaping around reach villa makes your backyard essentially private. The 6 Bedroom Villas come with 6.5 baths. All villas come with a fully stocked kitchen and living area. Each bedroom typically comes with 1 large King sized bed. The resort will bring in additional beds to the villa if required. 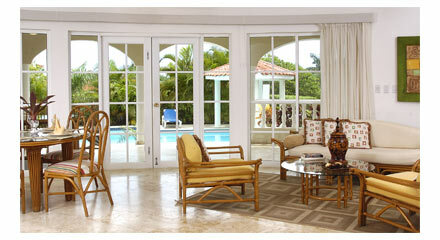 The villas have a wrap-around veranda for outside dining that steps down to your private pool. The landscaping around reach villa makes your backyard essentially private. Initial Deposits of $200 are required until Jan. 28 2019. $200 Deposit is required if you are making your first payment between Jan. 28th and Feb. 28th 2019. 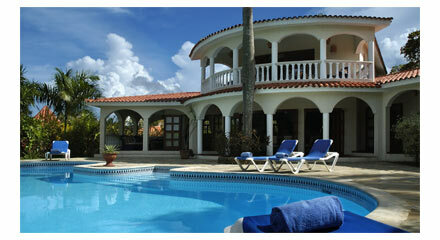 *All Inclusive Packages paid to the Resort at Check-In along with the $10 per person per day resort fee.